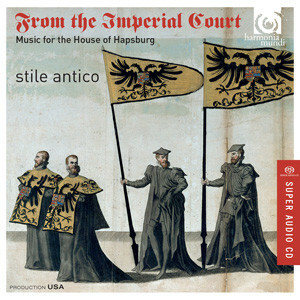 These recordings: Stile Antico’s From the Imperial Court – Music for the House of Hapsburg and Anonymous 4’s Marie et Marion have been done in high-resolution hybrid SCAD with good reason. 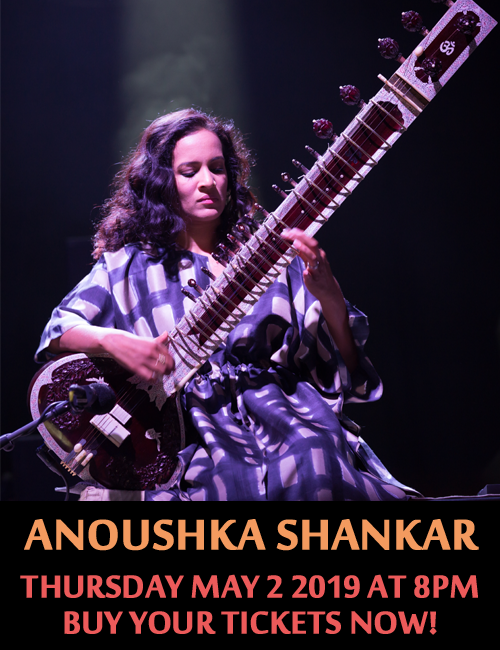 It is a must to listen to the music of these period recordings so the whole panoramic sound is presented for listening pleasure. And what a pleasure it is. The producers of both recordings as well as both groups of performers—the Anonymous 4 and Stile Antico—not to mention the engineers, all have a rare genius for making the listeners hand on every word and musical gesture, which are fully to the fore on these two exquisite recordings. In the music of each of the recordings—especially in the one by Stile Antico—there is a perfect balance between spiritual sincerity and dramatic narration. The solemnly beautiful voices in the aria like vocal parts are impeccably shaded by cleverly designed harmonies. 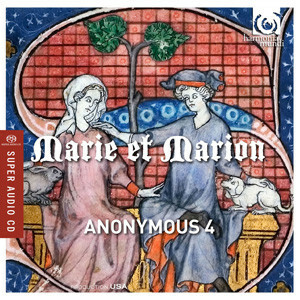 In archaic scoring in Anonymous 4’s music based on the Montpellier Codex vocal harmonies are reconfigured melting medieval scores with enough appeal to contemporary tastes. 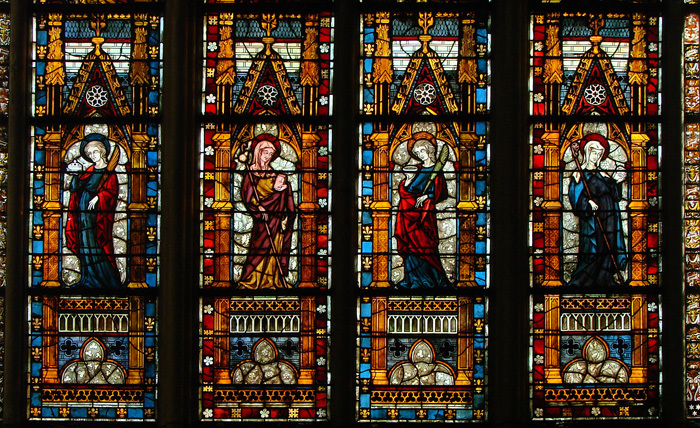 The reverential beauty of this music is exquisitely represented for the modern era as Stile Antico convey the vaunted beauty in every stage of the graceful and melismatic singing of the “Magnificat.” Reverence and soaring spirituality abounds in “Glory be to the Father and to the Son and to the Holy Spirit.” And aptly captures the Stile’s deepening emotional response to this extraordinary recitative in which they sing Mary’s ethereal prayer, “My soul magnifies the Lord and my spirit rejoices in God my Saviour.” The gorgeous contrapuntal lines in sublime sotto voce singing of the legendary praise waft the Virgin’s prayer like angels to the skies. Elsewhere in the David’s heartbroken wail for his dead eldest son, in “Absolon Fili mi” words pierce the father’s bleeding heart and the words are sung like the plucking of the strings of the harp that David once used in praise of God, in his Psalms. The deliberate slowing of the choral responses to the lead voices conjures the tears of the distraught father as the slowing of the tempo dramatizes the sparse words of the prayer. And in the invocation, “Versa est mi luctum” the majesty of the harp is soft and melodious. The music is profoundly moving here. The plea goes up to heaven in gentle murmuring, which is sung with delectable softness. This same exquisiteness is carried throughout the entire recording, which from song to song soars from one great height to another. In these medieval motets and chansons, Anonymous 4 displays a keen ear for miraculously inventive orchestral-like harmonies melded with lively, stylistically assured interpretations of fare that is both exciting and relatively difficult to render in the modern era. Textured and layered voices sing of secular love clearly articulating the extraordinary lyric. Grace and subtlety abound in the soft tones and warmth of the singing. “The Song” features some of the most dulcet and radiant vocal harmonies. Great is the sense of wonder and mystery of the delicate balance between nature and the relationship of the protagonists. In the subsequent “Sorrow” the 4 display astounding restraint as they voice their penitence with sweet-tones and balanced yearning; almost as if the singers themselves have become the characters in the song and their sensitive singing here depicts the muted strings of a chamber ensemble. The singing of “Marie,” “Marie et Marion” and “Marion” echo the sense of beauty that abounds in the rest of the recording. True to form the 4 show a penchant for colour and painting lyrics upon a musical canvas that is unequalled among vocal groups that are recreating medieval fare today. The timbre of their singing is soft-grained and they throw themselves with spirit into the marvellously composed music that is provided for them. Their opening choruses have a spring-like lilt to them and in the subsequent verses there is a brisk, earthier swing as if the summer of the music has arrived. Either way the sheer joy of the music here is just so life-affirming.